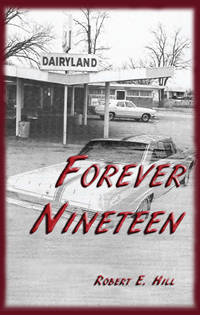 Robert E. Hill’s “Forever Nineteen.” Eric, a country boy, and Christin, a city girl, are teenagers from two different worlds. Eric likes taking risks like driving fast and flying his airplane upside down. One day, Christin takes a ride in Eric’s plane and things were never the same. When opposites attract, a bond can be formed that is unbreakable. Previous Previous post: Make Your Book Memorable: Take It To the Movies! Next Next post: Reach the Masses With An Outskirts Press Book Blast!